If this is the best that evolutionary philosophy can offer (and it may well be), then creationists have nothing at all to fear. Teleology (explaining present structure in terms of its future purpose) is supposed to have died when Darwin showed that the ‘appearance of design’ could be explained by natural selection. No purpose is needed, just a blind process of random change that is selected for survival by the environment. But evolutionists today still use the language of design and purpose to explain what they see in biology. This has needled Ruse, a committed naturalistic evolutionist, to find out why. He concludes that ‘design’ is just a convenient metaphor. There is no reality behind it because it is only the ‘appearance’ of design. The fatal flaw in his argument is that he entirely ignores where the design components come from. He simply says, ‘The design emerges and gets naturally selected.’ He gives us no analysis of mutations as a possible source, he ignores entirely the issue of biological information, and not once does he mention the problem of the gaps between higher taxa. His focus is solely on the issues of low-level variation, where natural selection can, and does, work. I don’t believe the book to be worth reading. Ruse is a well-known anti-creationist, currently Professor of Philosophy at Florida State University. This book is the third in a trilogy in which he investigates the social construction of science (that is, its dependence upon philosophy, history and religion), and how science might be used to answer questions in philosophy, history and religion. Science, he says, is ‘always value-impregnated’ (a conclusion that more people should know about), but since Ruse is a ‘committed naturalist’ (p. ix), the outcome could never have been in doubt. His declared intention is ‘to purify the argument to complexity, so that no religious stench hangs over evolutionary theory’ (p. 251). The book falls roughly into four parts: four chapters on the history of teleological thinking up until Darwin, three chapters on Darwin and his contemporaries, four chapters on what has happened in biology since Darwin, then four final chapters on the implications for design. Ruse extracts his two main arguments from Plato: the argument to complexity and the argument to design. With the argument to complexity, we establish that the world exhibits features that cannot be explained in terms of chance. With the argument to design, we establish that complexity requires design. He then asks, ‘Can we argue convincingly that there is no complexity? If not, can we argue convincingly that complexity exists but it does not imply design?’ (p. 17). Aristotle highlighted an apparent paradox in the scientific study of living organisms. Parts of organisms function for the well-being of whole organisms. This end (well-being) is a value, and value implies consciousness, but science is the attempt to understand the world in terms of general principles, not whims of consciousness. What is one to do (p. 19)? The solution proposed by Francis Bacon was to separate proximate causes from ultimate causes, and allow science to concentrate on proximate causes (this is a point that I believe creationists need to use more effectively). Anglican churchmen such as William Paley and other ‘natural theologians’ responded to Hume with a resounding restatement of the argument from design (that is, design exists and only a Designer can explain it). Just as the complex machinery of a watch working together for the purpose of telling time points to the existence of a watchmaker, so the marvelous contrivances of the eye for the purpose of seeing point to the existence of an eye-maker. One failing of Paley’s argument, says Ruse, was that he had no credible alternative explanation (apart from chance, which may, he argued, give us a wart or a pimple but not an eye) so his proposition became true simply by definition (p. 44)—the implication is that Darwin did provide a credible alternative so we can now safely conclude that Paley was wrong. Erasmus Darwin (Charles’s grandfather) proposed an evolutionary philosophy that was deist and teleological. God was the First Cause, but His creation had thereafter unfolded by a process of natural law, culminating in the pinnacle of humankind. The emergence of man made sense of all that came before. Without man, all would be inexplicable. But Cuvier opposed evolution because of this very same reasoning. ‘The key to understanding the organism lies in the fact that it is not simply subject to the physical laws of nature but that it is organized, with its parts directed to the end of the functioning whole’ (p. 61). He knew of no way in which evolutionary change could cross the species barrier without disrupting the organism’s ability to survive (p. 64). Homology posed a significant challenge to the 19th-century natural theologians. The similarities in bone structure in the vertebrate forelimb belied the very different purposes for which they were used (grasping, running, swimming, flying). And what about the reduced (or even absent) limbs of some reptiles and marine mammals? How could teleology explain similar structure for different purposes (or worse, defunct purposes)? Teleology, says Ruse, was in bad shape when Darwin’s Origin appeared. Surprisingly, there is still no consensus on Darwin’s dealing with teleology. After The Origin of Species was published, Thomas Huxley praised Darwin’s defeat of teleology, (and Gould agreed that it was Darwin’s main aim2). But Asa Gray applauded his restoration of teleology. In our own time, scholars are similarly divided. Darwin did not reject the idea of a creator at any time throughout the six editions of The Origin, indeed one of his heroes was the natural theologian William Paley. However, he investigated Paley’s claims by seeking proximate, and thus secondary, causes rather than ultimate causes. And in seeking those explanations, he made no qualms about invoking final causes—that is, teleology. The complexity of life, he believed, was there for a purpose. ‘Like Paley, Darwin was looking at the organic world as if it were an object of design’ (p. 121). His originally orthodox Anglican belief gave way to deism and finally to agnosticism, but he did not reach atheism. He endorsed the argument to complexity (life exhibits evidence of design), but his work planted a ‘bomb’ under the argument to design (that design requires a designer) (p. 128). While Darwin’s general thesis of descent with modification as the explanation of biological diversity was widely accepted after publication of The Origin, his specific mechanism of natural selection did not fare so well. Evolution as a philosophy made great gains, but evolution as science did not. In biology, evolutionary thinking was taken over by the German school led by Ernst Haeckel, which busied itself with working out phylogenies (irrespective of mechanism). In England, it was ‘social Darwinism’ that took over. Thomas Huxley saw evolution as a tool for renewal of British society. He wrote (in jest, but he was deadly serious in his aim to undermine Christianity) that he was teaching evolution to ‘schoolmasters—with the view of converting them into scientific missionaries to convert the Christian Heathen of these islands to the true faith’ (p. 134). The evolutionary notion of ‘progress via survival of the fittest’ appealed to the British sense of racial superiority and their obvious evidences of material progress, so it was a ‘smashing success’. ‘The view that each variation has been providentially arranged seems to me to make natural selection entirely superfluous … . It seems to me that variations … are due to unknown causes and are without purpose … they become purposeful only when they are selected’ (p. 147). Darwin lacked an explanation of biological variation, so it is not surprising that natural selection made little scientific headway. The rediscovery of Mendel’s work in genetics caused a further eclipse of natural selection in favour of saltationists—those who believed evolutionary change occurred in big jumps rather than Darwin’s gradualism. With the discovery of random mutations and further developments in genetics, a school of thought emerged based on non-adaptive random variation. This further sidelined selection because Darwin had been concerned to explain adaptation—the fit of organisms to their special way of life. But by the 1930s genetics and natural selection were brought together in what has since been called the ‘synthetic’ or ‘neo-Darwinian’ theory of evolution. Mutations provided the raw material of evolution, and natural selection adapted it to the needs of organisms. There followed a spate of field studies that showed ‘life history is under the control of selection [and] adaptation is the key principle at issue’ (p. 179). Ruse makes a strong point in several places about a key difference between creation and evolution—reproductive success, not perfection. 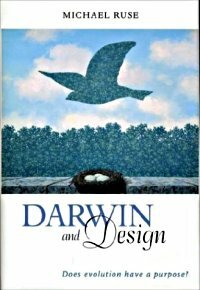 He says the designs of a creator would be perfect, but the ‘designs’ of evolution are just good enough to do the job (p. 184). Signs of imperfection are thus often noted, the implication being that each one trumpets Darwin’s ascendancy. But is imperfection really an argument against creation? Imperfect by whose criteria? And is it really imperfect design or is it imperfect knowledge of function?3 Who can tell? It seems to me to be a straw man that gives no support to naturalism at all. Ruse is also confident that adaptationist thinking can solve fossil problems. He says the recent explanation of the huge dorsal plates of the stegosaur as being heat regulators is ‘a triumph of adaptationist thinking’ (p. 188). He does not seem to notice that heat regulation is not a unique need of stegosaurs, so it cannot be the unique explanation for this unique structure—something more is needed. Indeed, it is a reversion to teleology. The stegosaur embryo develops the plate structure so that the adult can enjoy air conditioning. This begs the enormous question of where the structures and their complex attachments came from in the first place. ‘All things being equal, selection does the same thing time and time again, to achieve the same ends. The classic case is swimming … . Not only has selection found [the optimal] body shape but it has produced it repeatedly in many different kinds of animals—fish, reptiles and mammals. The problems were the same, and the answers were the same’ (p. 216). In one sweep, he gives us the answer we were all waiting for—selection has done it all! Surprisingly, he quotes the obsessively anti-Christian philosopher Bertrand Russell in this same chapter: ‘The method of “postulating” what we want has many advantages; they are the same as the advantages of theft over honest toil’ (p. 218). How difficult it is to see our own faults! Ruse acknowledges that ‘The really big question is about how new characteristics ever get started in the first place’ (p. 235). But he has no answer. The best he can do is offer differing opinions: ‘As Gould forever asked, could a tenth of an eye be of any great value? [and] as Dawkins responded, perhaps it could.’ There is no science in this. In fact, Gould’s explanations are the antithesis of adaptation. Rather, he believes that new organs and functions can arise simply as a side effect of doing something else. Gould and Lewontin invented the term ‘spandrel’ for such features that did not arise because they were directly adaptive. This architectural metaphor was derived from San Marco cathedral.4 When you support an arched ceiling on round columns, the spandrels are the flat, tapering panels that rise up from the column to the arch. Since artists use spandrels as a ‘canvas’ on which to paint their decorations, Gould argued that organisms could likewise use ‘functionless’ artifacts of anatomy for some new purpose. One of Gould’s examples is the origin of the human ‘thinking apparatus’, which contains features far in advance of what are needed for survival, but he says they are just byproducts of a bigger brain that evolved for another reason. But gratuitous story telling (quoted from Gould’s opus magnum, The Structure of Evolutionary Theory, p. 1264, 2002) explains nothing about the marvels of the human intellect. Ruse’s other offering is the Fibonacci series exhibited in plant leaf distribution (phyllotaxis). While this can be explained quite satisfactorily in terms of the physics of producing cells sequentially from a single growing point, it tells us nothing at all about the ‘big question’—how the plant came to be able to produce leaves. To get the ball rolling in his analysis of design, Ruse compares the workings of a homing torpedo with human homeostasis. ‘Let us grant what is surely true … that nothing inherently supernatural or nonphysical is required by such systems’ (p. 256). Incredibly, he thereby discounts any possibility that ‘nonphysical’ things like information or intelligent design play any part. ‘There is nothing very mysterious about purpose in evolution … . Natural selection produces artifact-like features, not by chance but because if they were not artifact-like they would not work’ (p. 273). I personally find it astounding that an eminent Professor cannot see the fallacy in this argument. Design cannot ‘emerge’ from nowhere. Natural selection can only select from things that already exist. Since he abundantly affirms the correspondence between biological systems and human machines, and we know that biological design is mediated by information encoded in genes, the only logical conclusion we can come to is that the biological and human machinery must have a common explanation—intelligent design. Ruse’s failure to consider the role of information in his analysis of biological design must surely amount to willing ignorance. In the penultimate chapter, Ruse attempts to give a sympathetic treatment of Christian responses to the ‘fact’ of Darwinism. He outlines a few of the philosophical (but none of the biblical) compromise positions but does not hold out much hope for them, as none of them can challenge the supremacy of natural selection in the ‘real’ world. First, each of these reduced mousetraps are complete designs, they are not the Behe trap minus one of its parts. They do not, therefore, address the issue of the irreducible complexity of the Behe trap. Second, the functionality of the trap is all important. Ruse claims that an approximate mousetrap that is not very good at catching mice is good enough, but this is not so. If reproduction is used as a biological analogue of the mousetrap, it has to be fully functional, or the organism dies and there is nothing to evolve. If an organism is not ‘very good’ at reproduction (i.e. can’t pass on its genetic information) it cannot play the game of life. Darwinists commonly repeat this blunder of assuming that error-tolerant mechanisms are simpler than exact mechanisms. Those of us who remember the days of exact computing will know that modern error-tolerant computing is in fact much more complex than its exact predecessor (and takes up a great deal more memory space). The error-tolerance of the genetic code is a more complex system than an error-intolerant version would be, and thus it is not an intermediate step on the way to design. But, as in the rest of the book, Ruse here fails to look at the big picture. In the big picture of life, the unbridgeable gaps between the higher taxa defy naturalistic explanation, but Ruse concentrates solely on the small picture of realms where natural selection can and does work. Likewise, in these computer simulations, the big picture is that the computers and the programs were intelligently designed, just as evolution depends on intelligently-designed self-reproducing organisms to work, even in theory, but Ruse focuses only on the randomly selected results. Some people can’t see, and some people won’t see. Perhaps to reassure himself that life might still have some ultimate meaning, he finishes with a ‘hymn’ to the glory of complexity (but not, of course, to design). Ruse seems to be remarkably naïve in the two subjects which he tackles in this book—biology and Christianity. ‘The Darwinian revolution is over and Darwin won … . Dawkins is right’ (pp. 330–331). Natural selection can do (and did) everything, he says, and there are no gaps in his fossil record. When he does admit to gaps, he says they are due to the fragmentary nature of the record (p. 233). He ignores the information issues and says nothing substantial about mutations. He appears to know almost nothing about the issues that divide (or unite) Christians. His gravest failing in understanding Christianity is the absence of any mention of the Curse or the Fall. Without these, the problem of evil is a steal for any anti-God philosophy. It is notable, however, that in his references to many Christian thinkers, past and present, not one of them appears to have mentioned it either. An important goal of modern creationism should therefore be to restore Christendom’s (and society’s) understanding of the Fall and the Curse. Hume actually failed in his attempt to discredit teleology, and ended up affirming it. His ‘multitude of creators’, his ‘stupid mechanic’ and his ‘creator of evil’ are all intelligent agents working towards future purposes (however obscure, inadequate or distasteful they may appear to the naturalistic observer). For refutations of some famous ‘arguments from imperfection’, see Gurney, P., Is our ‘inverted’ retina really ‘bad design’? 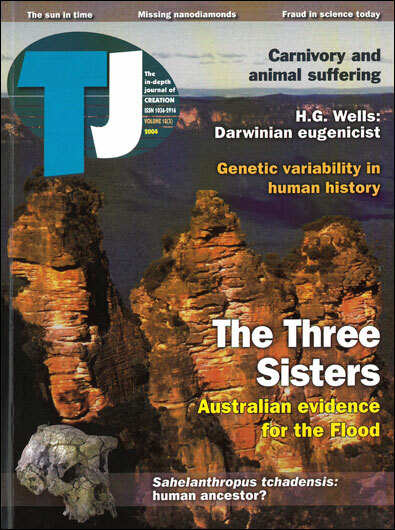 Journal of Creation 13(1):37–44, 1999; and Woodmorappe, J., The Panda thumbs its nose at the dysteleological arguments of the atheist Stephen Jay Gould, Journal of Creation 13(1):45–48, 1999. Gould, S.J. and Lewontin, R.C., The Spandrels of San Marco and the Panglossian paradigm: a critique of the adaptationist programme, Proceedings of the Royal Society of London B 205:581–598, 1979. Wieland, C., CMI’s views on the Intelligent Design Movement, 30 August 2002. Ey, L. and Batten, D., Weasel, a flexible program for investigating deterministic computer ‘demonstrations’ of evolution, Journal of Creation 16(2):84–88, 2002.